Unless you live in California, Pacific white seabass may be an unknown fish to you. It is even rare in Northern California, as this fish largely lives in the kelp forests in the Southern part of the state, so it is not a widely known species. Although "bass" is in its name, white seabass, also known as Corvina or king croaker, is not a bass at all, but actually a member of the drum (or Sciaenidae) family of fish. It is a cousin of the redfish of Louisiana, the weakfish of the Mid-Atlantic states, and the ubiquitous spot and croaker that range from the Delaware Bay down to the Carolinas. It is a delicious fish that is easy to cook and stands up well to a wide variety of cooking techniques. While striped bass, a fish many of us are familiar with, is not especially firm, white seabass is frim. White seabass are meaty, mouth-filling, and muscular. Due to its consistency, it is definitely not meant for delicate steaming or poaching in broth. The fish tastes and feels a lot like sturgeon, which is among the firmest fish around. It has a mild, slightly sweet flavor, and when pairing this with its firm texture, it is the perfect fish for almost any type of cooking method. It is a good option for flavorful sauces since the fish will not get lost in a complex sauce. 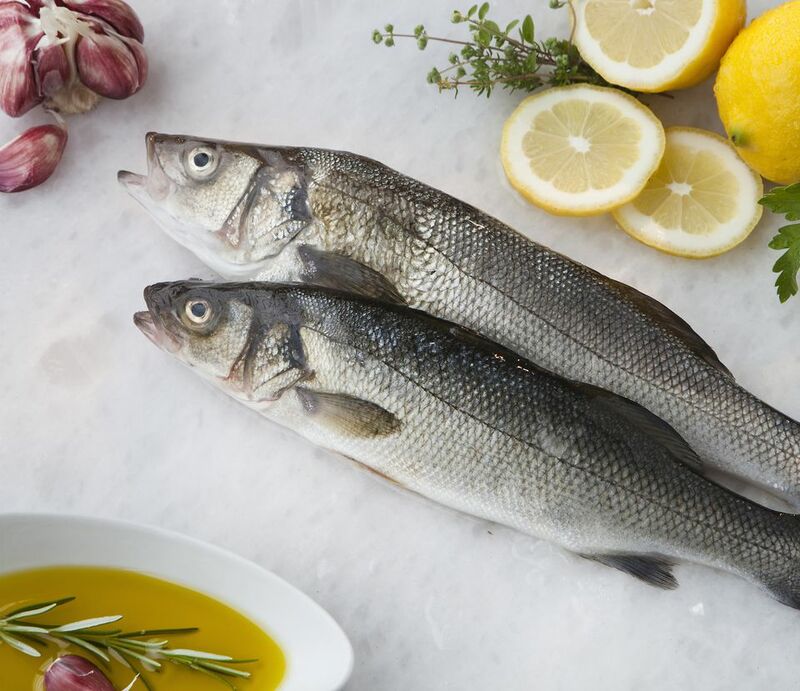 Due to its sturdiness, white seabass is perfect for the grill, great seared in a pan, broiled, or even slow-cooked in a barbecue. It may not be fatty enough to smoke properly, but white seabass would be perfect slowly simmered in olive oil and then eaten cold in a salad. When cooked, this fish maintains a moistness and flakes easily. If you are on the West coast, seek out white seabass from your local fishmonger or better grocery store. Not only is it a fantastic eating fish, but it is also considered a "best choice" by the Monterey Bay Aquarium, which monitors the health and sustainability of fisheries worldwide. Most white seabass are caught by hook and line, and the populations have increased dramatically since being overfished in the 1960s and 1970s. If you can local white seabass, you'll find the fish is typically cut into large fillets or steaks. The skin is a gun-metal silver, and the meat is white, but not shockingly so. It should have some brick-red muscle along the center line. If you don't live on the West coast but are still interested in trying white seabass, you are in luck. White seabass freezes well so look out for frozen fish or ask your local store to try to get some for you. If you see recipes for white seabass, but can't get your hands on any, know that you can substitute sturgeon, grouper, thresher shark, mako shark, mahi-mahi (Dorado), or even swordfish (if you can find hook-and-line caught swordfish steaks).